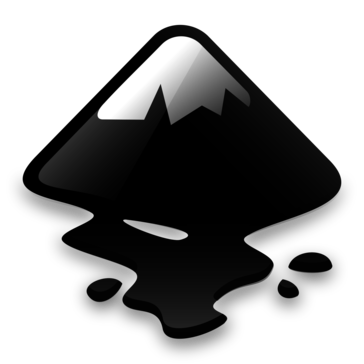 Inkscape is open supply, free, and straightforward to use from the get go. It permits you to find out the fundamentals of vector style while not the sophisticated interface of Adobe product, and did I mention it's FREE!? It's nice if you're simply coming up with a emblem here or there, and can offer you most of the tools you wish to try and do easy jobs effectively. The image trace is one in all the most effective I've used, that is wherever this very sets itself apart. It has a bent to freeze on giant comes, doesn't export to business common file varieties like .ai, and thus causing to a shopper will be tough, particularly if they'd prefer to create edits of their own. Also, whereas it's straightforward to use, setting it up is tough as you technically must transfer two separate applications to create it run on a raincoat (I'm unsure whether or not or not this is often needed on Windows machines). This makes it somewhat ungainly to rise and associate with. However, I'll iterate that it's straightforward to use once you've got everything downloaded and began up. We principally use Inkscape for image drawing and vector style. We've got benefitted kind Inkscape by having the ability to form vectors quickly. It allowed Pine Tree State to make comfortable styles rather than counting on outsourced style partners, that quickened latent period while not cost accounting any more money. This gave North American country a leg up, permitting fast turnarounds and in some cases, same day sales, with customers for whom timeline was a significant issue. "Free Vector Art Program with some Bitmap Features and Excellent SVG Support"
I most like that Inkscape has excellent SVG features, which makes working with web graphics easier and more effective with small file size with perfect quality with any scaling factor. What I dislike about Inkscape is that the toolbox and menus are very different to Adobe Illustrator, so I can not reuse my knowledge that I already have. I use Inkscape to create vector graphics, that I save as SVG graphics. I use SVG graphics as they have the benefit of having small file sizes on the web, and can be scaled with perfect quality. They also display at excellent quality with Retina displays (iPad etc.) without any special treatment.